Well a category is nothing but a type type of contract like Service Agreement, Warranty and Extended Warranty or Subscriptions. 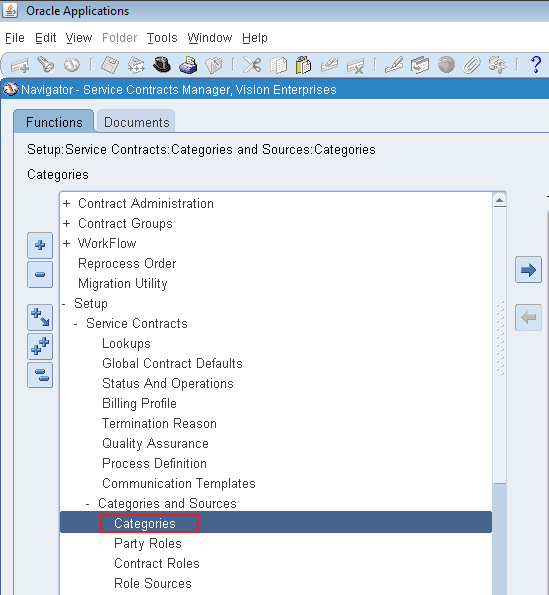 In Oracle categories are seeded (Defined by Oracle) and user defined categories are not supported. The only thing that we do here is assign responsibility for a category to allow level of access (Read Only /Modify). We can also add new party roles (Customer / Third Party / Service Provider etc. ), that we will talk in later section. 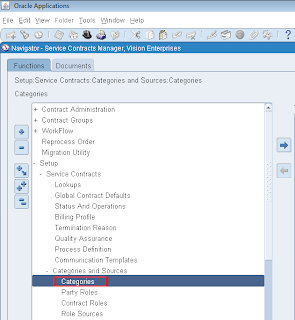 Navigate to Service Contracts Manager -> Setup -> Service Contracts -> Categories and Sources -> Categories. 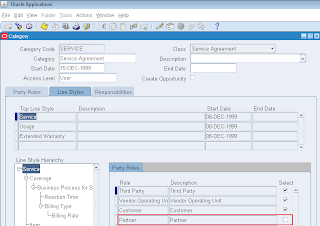 Query the form for 'Service Agreement' class. Go to the Responsibilities tab. Select the responsibility from LOV to provide access. 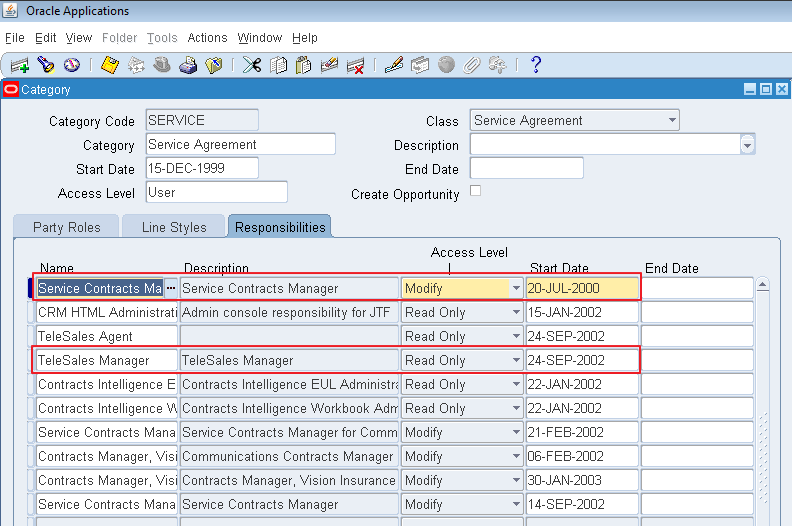 Select an access level (Modify / Read Only). Confirm the start date. 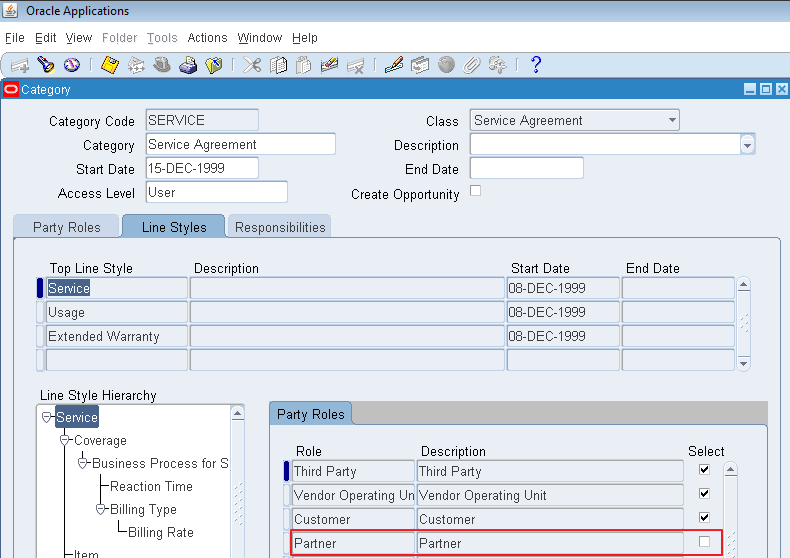 Note: You shall Complete the steps to assign responsibility for each category that you use within the Service Agreement class. Note: When determining what level of access to grant a user for an individual contract, the application checks both the level of access granted in the Define Categories form and the level of access granted in the Security section of the contract and gives the highest level of access. It does not work in a hierarchical fashion. 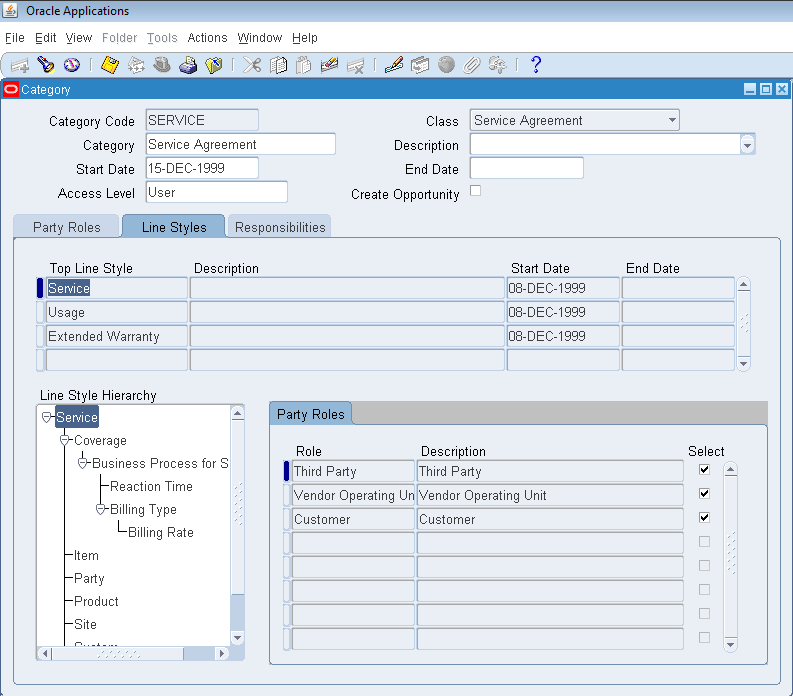 For example, if the user is given Modify access to the Warranty and Extended Warranty contract category but is only given Read Only access on a particular extended warranty contract, the user will still be able to modify that contract based on the fact the highest level of access granted is Modify. 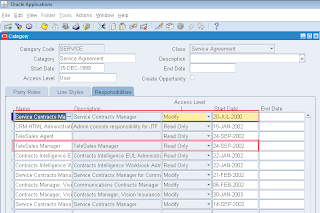 Query the form 'Service Agreement' class. Select the Party Roles tab. 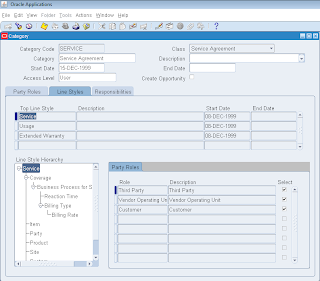 Select the party role to add from the Role LOV.